Nathan Stock is a non-resident scholar at the Middle East Institute. Previously he directed the Carter Center’s Israel-Palestine Field Office for three and a half years, until the summer of 2017. He led Carter Center efforts to facilitate the reunification of the Palestinian political system and to assert Palestinian sovereignty via international fora. 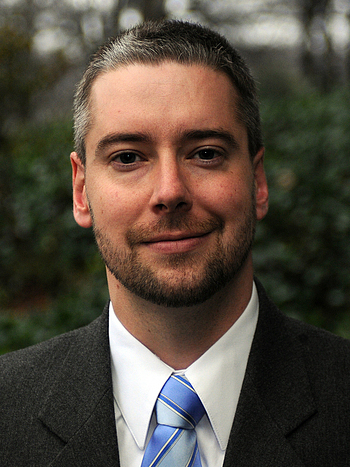 Stock joined the Carter Center in 2008 as an Assistant Director in the Conflict Resolution Program. He designed and managed projects targeting the Fatah-Hamas conflict, and implemented programming to monitor and advance political solutions to the Syrian civil war. Prior to joining the Center, Stock spent two years working to strengthen local civil society organizations in Afghanistan. During the Al-Aqsa Intifada, he lived in the Gaza Strip, working with a Palestinian NGO to design and fundraise for conflict resolution programs targeting the Palestinian community. Stock is currently based in South Carolina, where he consults and writes on Israeli-Palestinian affairs. Bachelor's degree in international relations, Colgate University; Master's in international peace and conflict resolution, American University's School of International Service. A step forward for Palestinian reconciliation? In this week's Monday Briefing, MEI experts provide analysis on Fatah-Hamas reconciliation talks in Cairo, possible cooperation between the Syrian Democratic Council and the Assad regime, Iran's hawkish rhetoric towards the U.S., the protests in Iraq, the U.S.’s lifting of restrictions on aid to Egypt, and Imran Khan's victory in the Pakistani elections. The U.S. has for years demanded Hamas give up its armed struggle, and now it is being admonished by the Trump administration for supporting a nonviolent protest movement.